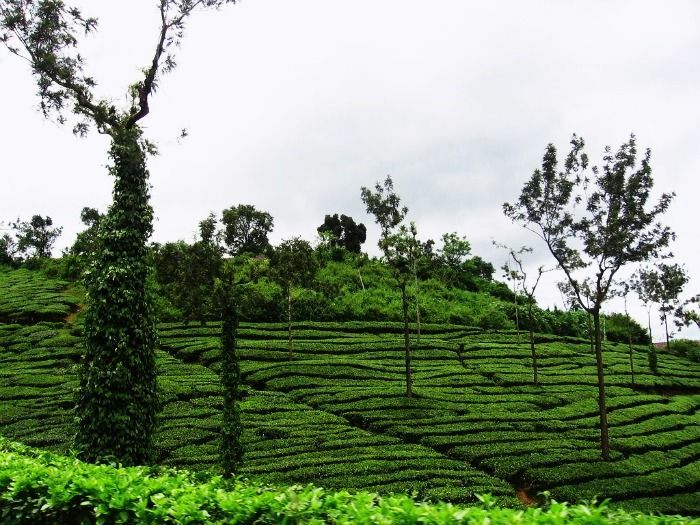 Coonoor is known for its picnic spots that go hand in hand with the tea gardens. The lush flora doesn’t help in keeping track of time, while strolling through the hill station. It is famous for its multitude of gardens that adore many species of flowers evergreen plants and trees. The green slopes are the most captivating part of the hill stations as you could see many couple sitting, relaxing and engulfing the beauty of this hill station during their honeymoon vacation. The less crowded Devikulam hill station is the perfect retreat for the newlyweds. The presence of a sacred lake – Sita Devi is the main attraction, not because of its sacredness but because of the abundance of minerals in its water. The hill station is bio diversity rich, and being close to many popular hill stations, it offers many sightseeing options than any other hill station in Kerala. It is the most magnificent location in Andhra Pradesh. The mesmerizing serene valley comprises of many hills, undulating meadows, pompous orchards, which adds to the pleasant weather that prevails all year round. It is truly a very special place to visit with that someone special. It is compulsory to carry a picnic box, as it enhances the pleasure while unfolding the countryside. The famous limestone Borra caves provide a new side of nature. Buying old silver from tribal surely promises a reminiscent memory. Yercaud is a hill station situated in Tamil Nadu. It is famous for its unique topography that completely sweeps you of your feet. The hill station in based in the Shevaroy Hills of Eastern Ghats and it is mostly visited by the honeymooners. The place is filled with the lakes, waterfalls, parks and many colonial buildings. The temperature never exceeds above 30 degrees; although the adjoining areas of the hill station are hot and dry. The couples enjoy the breathtaking vistas with occasional drizzling. Apart from being one of the only three hill stations in Andhra Pradesh, Ananthagiri Hills provide the vista of hills joshing with the clouds. It is the splendid summer retreat in Andhra and one of the pollution free hill stations of India. Rich in minerals and salubrious environment, it vouches for captivating landscape that just ceases everything and enchants a melody of love on the honeymooners. Munnar, the toy-town hill station in the “God’s Own Country” – Kerala is an ideal honeymoon bliss. Untouched from the hustle and bustle of the routine clad life, it accounts for the most memorable time spent and the ultimate choice for the honeymoon holidays. It is known for its tea gardens, lakes, waterfalls and beautiful countryside. The placid trails laid throughout this retreat are the best strolling paths ever taken. 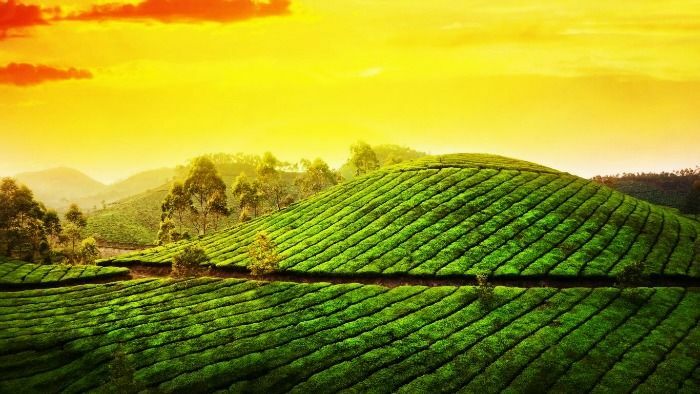 Kerala Honeymoon Packages However, sipping a brew in small tea shops along the tea gardens and awe-inspiring viewpoints provide the great aura to bond and fall in love over and over again. Ooty is just what the doctor ordered if you are looking for the perfect honeymoon destination. Assorted with many cozy cottages, lodges, hotels, and restaurants, it is flooded with many honeymooners from various parts of the world. It offers several adventures filled activities like angling, hand gliding, trekking, etc. Kerala Honeymoon Packages and provides a unique experience. Ooty is indeed a perfect place for the couples to finally break the ice, start their journey of life and cherish wonderful memories. Idukki is one of the most mesmerizing hill stations in South India. Laden with many sanctuaries, tea gardens, and national park, it provides the perfect spice required to light up once married life. With its spice plantations and many aboriginal tribes, it provides a very unique essence in life. It is known for its panoramic viewpoints and the Idukki dam, which is world’s second and Asia’s first arch dam. 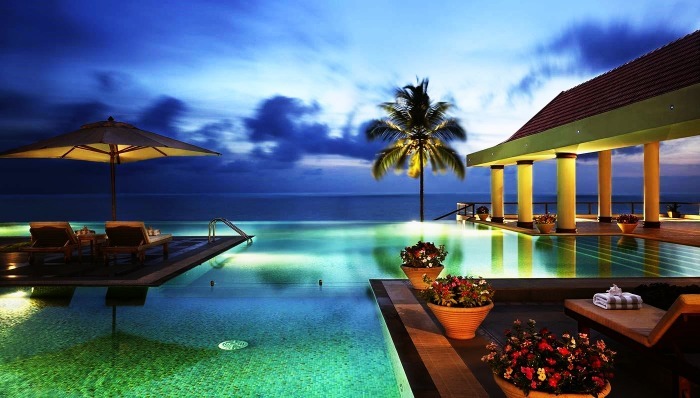 Kerala Honeymoon Packages The vista offered by the place is truly majestic. The best affair is the elephant safari that takes the visitors through the tea plantations and provides a unique stillness to let the magic of love begin. This retreat in the South Indian state of Tamil Nadu is appreciated as the princess of hill stations throughout the country. Kodaikanal is known for its breathtaking backdrops that certainly mesmerize you. Kerala Honeymoon Packages With many enchanting viewpoints and the majestic Kodaikanal Lake filled with water lilies, gives the opportunity to enjoy the Bollywood romantic duets. It is one of the famous honeymoon destinations of South India. Referred to as the Scotland of South by the British, Coorg is definitely the place meant for the newlyweds. With its unique style of wedding rituals where instead of the priests, the elderly commence the errands. It is one place where the green of the flora soars high and get mixed with the white and grey. Kerala Honeymoon Packages The most amazing part is the morning that truly enthralls the couples. It is certainly a land for the perfect honeymoon with luxurious hotels, ever so friendly folk and sights, sounds and souvenirs at every glance. Regarded as one amongst the best honeymoon places in India, Kerala or God’s Own Country as she is affectionately called, has been serving visitors with pride and picturesque destinations for many decades. Any Kerala honeymoon package would comprise Munnar, Kumarakom, Bekal and a myriad other places that invoke the wonderful feeling of calm and quiet. Kerala Honeymoon Packages These are scenes that are perceptible by vision, but, at the same time, numb your senses into a daydream, breathing life into love and togetherness. Kerala Honeymoon Packages Houseboat trips in Alleppey, wildlife treks in Thekkady and other exciting locations like Kovalam, Vagamon and Wayanad have become the choice of many couples aspiring for a weekend or more of repose and rejuvenation. The Travel Planners has been leading the race for accolades in travel and tourism in India. Recognised as the best inbound tour operator by the Department of Tourism, the organisation has come a long way in delivering outstanding services, competent rates and unparalleled honeymoon packages for all travel enthusiasts. Kerala Honeymoon Packages With exceptional understanding of the state’s treasures and our clients’ interests, our Kerala honeymoon packages are the way forward to an experience with nature in its ethereal glory. 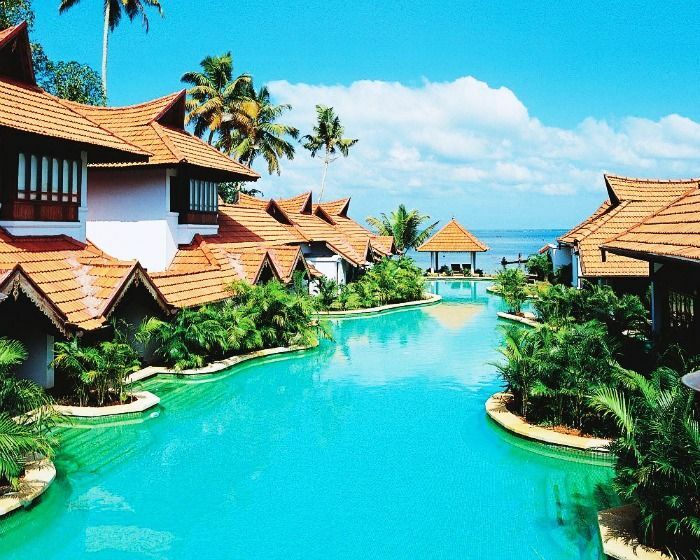 Best Honeymoon Places in Kerala, India. Cochin International Airport is well connected within India as well as with the world. The beautiful part of town called Fort Kochi, oldest town with influence of Portuguese, Dutch and British. This sleepy suburb is brimming with sights such as the St. Francis Church, the oldest church in India, Old Portuguese houses, local fishermen and their Chinese fishing nets, a 16th century Jewish synagogue and the Mattancherry Palace, built by the Portuguese and containing elegant murals. 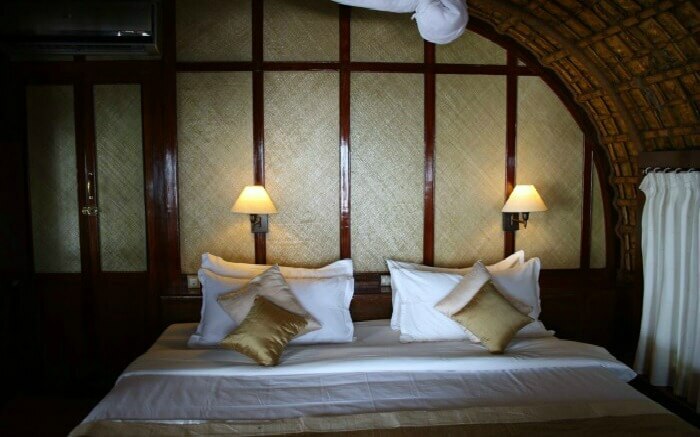 Kerala Honeymoon Packages The Villa Romantica in Cochin is an exclusive resort for Honeymoon couples. Why Munnar is so popular among Honeymooners? Munnar is a hill station located 4 hours drive from Cochin it is the hot spot for honeymoon to witness the sprawling tea gardens and little hills along the western Ghats. The drive would cover 130 Kms over 4 hours and will also include a stop at Cheeyappara waterfalls. 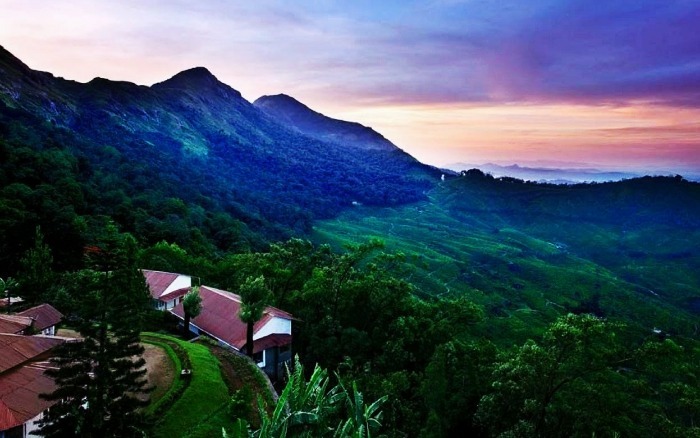 Kerala Honeymoon Packages Sparsely populated Munnar is primarily covered by extensive Tata tea plantations. 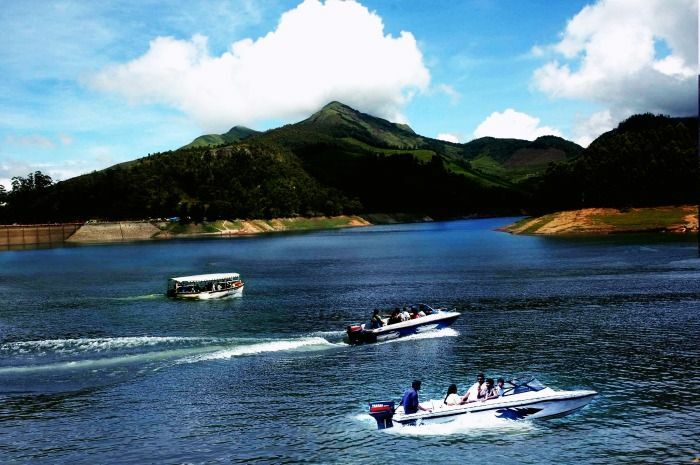 Sightseeing starts in the morning with trips to Eravikulam National Park, Mattupetty, Echo Point, Tea Museum and Pothamedu, together with the option of an enjoyable boat ride in the lake. Kerala Honeymoon Packages Don’t forget to take pictures smack in the middle of the tea gardens and share it on social media and buy best tea from Munnar. Kerala Honeymoon Packages Spice Tree Resort with Jacuzzi at all rooms or private pool villa is good choice for private honeymoon in Munnar. A morning drive through the Cardamom hills to Thekkady, covering 110 kms/3.5 hours is the best way to explore the beautiful nature of Kerala. This drive includes spice plantations of cardamom and pepper as well as tea and coffee estates. You could also shop for exotic and fragrant spices on the journey to Thekkady. Kerala Honeymoon Packages Don’t forget to buy some spices from the local spice market to give away as gifts to near and dear ones. Houseboat – Best Romantic experience. 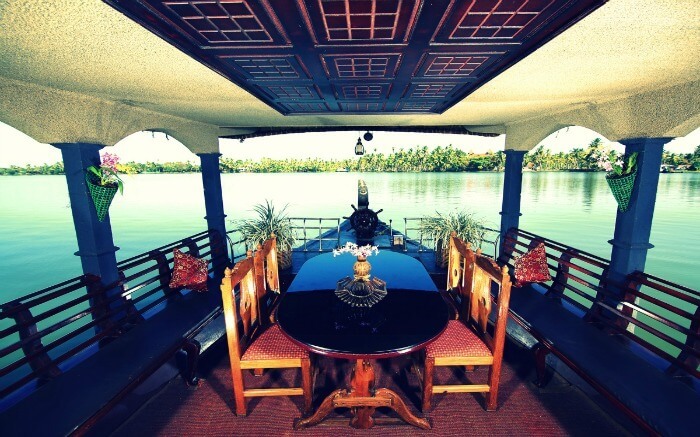 A Kerala Houseboat offers rooms on board a Kettuvallam, a traditional Kerala house boat. 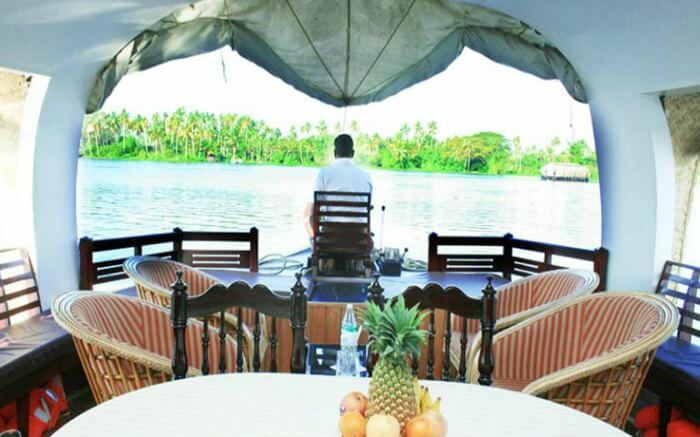 Exploring the backwaters of Alleppey and Kumarakom, the boat provides full board Kerala traditional meals for all guests through its dining area in the boat. A chef on board prepares traditional Kerala cuisine with local spices, organic food and fresh seafood. Barbeque facilities are available in the lounge area. 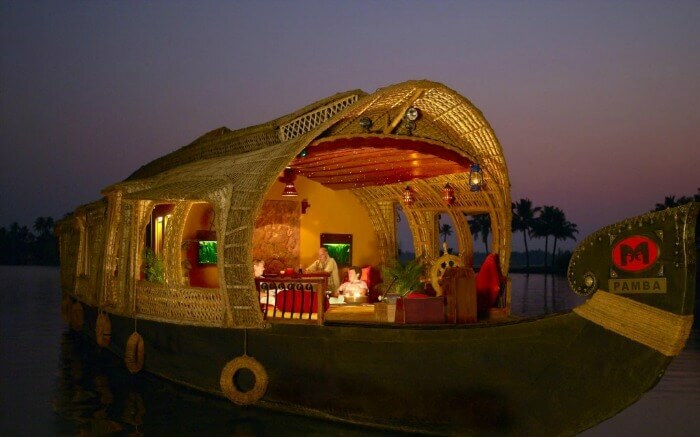 Kerala Honeymoon Packages Rooms on individual house boats are equipped with air-condition. All come with a cable TV and mosquito repellent. Bathrooms have shower facilities. It is 5 km from Alappuzha Railway Station and 85 km from Kochi Airport. Guests can enjoy the scenery and lively village life on the great backwaters of Kerala. One of the popular beach destinations in India with three adjacent beaches and bays. One can get a magnificent view of Kovalam beach from the light house which allows travellers to get on top of the light house. There are many sea front restaurants serve fresh catches from the sea. 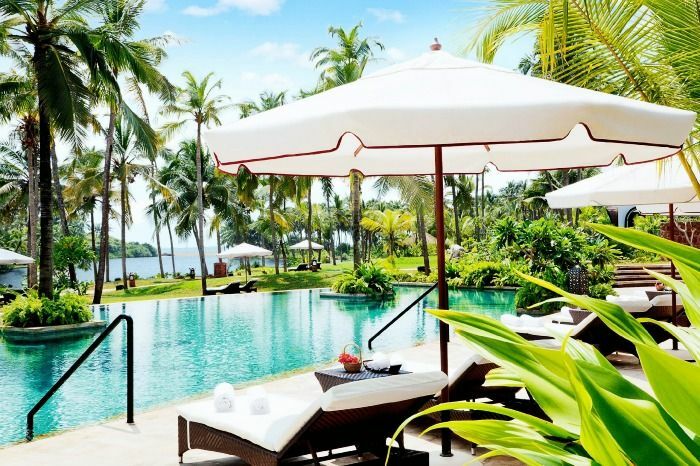 Kerala Honeymoon Packages Popular sea food restaurants are Bait by Vivanta by Taj, sea face hotel has sea front restaurant serves beer and wine. The Ayur Villa is a Private boutique villa with 5 rooms and pool is good choice for your private stay at Kovalam. Wayanad – Place of interest to have honeymoon from Bangalore. The name Wayanad is derived from Vayal Nadu which means the land of paddy fields. It is a picturesque plateau situated at a height between 700 meters and 2100 meters above the mean sea level nested among the mountains of the Western Ghats on the Eastern portion of North Kerala and on the sides of Tamil Nadu and Karnataka States. Honeymoon trips to Banasura Sagar Dam, the largest earth dam in India and the second largest in Asia, Pazhassi Raja Tomb and Pazhassi Raja Museum at Mananthavady. Another interesting part of your visit will be Kuruvadweep, which is a series of tiny islands on the Kabini River. This adventure site is open from 09:30 am to 03:30 pm with restricted entry on some days due to animal sightings. The islands are completely off limits during monsoon. Wayanad tour packages will be starting with an early morning or post- breakfast trip to Muthanga Wildlife Sanctuary. The reserve opens at 06:30 am, which is an ideal time to see the wildlife. Later visits will include the Jain Temple, Edakkal Caves, Wayanad Heritage Museum and the Phantom Rock site. Kerala ,known as “God’s own Country”, the most beautiful place and famous tourism destination in the world invite you to spend your Book your kerala honeymoon package in the paradise of tourists with us and to make your honeymoon vacation in a memorable one. During your kerala honeymoon packages spend your happiest moments with your beloved one at the beautiful hill stations, wildlife sanctuaries,beaches, lakes, backwaters, and come to know about its beautiful climate. If you want to make your honeymoon as memorable one, Kerala is the best choice and we are here to serve you. We are specialized in Kerala Honeymoon packages. Our packages covers hill stations, waterfalls, wildlife sanctuaries, passionate backwaters, wonderful beaches etc. in Kerala. Green Valley Holidays from Munnar and Hyderabad invite you to imbibe the beauties ofKerala Honeymoon Packages, which are specially and carefully designed to meet the requirements of the newly married couples to spend their Honeymoon vacations in a romantic and memorable way and return to their homes with everlasting memories of their happiest moments. Munnar Honeymoon Packages, the best choice for the honeymoon couples. Munnar is a famous Tourism destination In South India. During this package, you can enjoy the beauties of tea Garden, Munnar hills, waterfalls, Kerala Backwater tourism, Kerala houseboats etc. If you are looking for such a package please choose this one. cruise through the narrow canals in Alleppy and Kumarakom backwaters give a chance to explore the beauties of Kerala backwaters. Enjoy your romantic moments with your beloved one during this houseboat cruise. 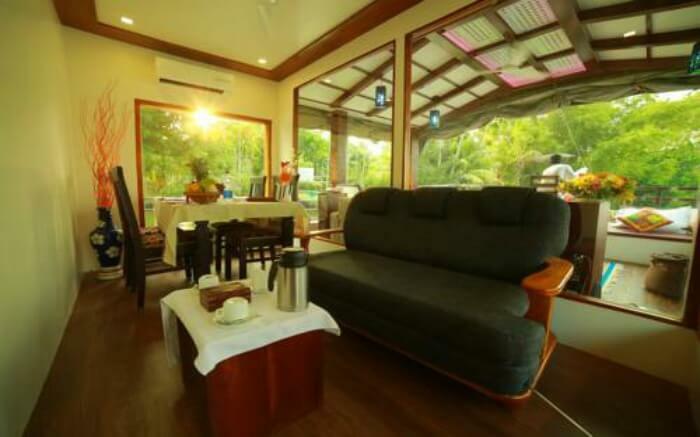 Kerala Houseboats are beautifully decorated and well furnished with modern facilities. Couples can enjoy charming beauties of breathtaking hill stations, wildlife sanctuaries, backwaters, palm-fringed beaches, waterfalls etc. Begin honeymoon with your more special way like our most special Kerala honeymoon packages. Kerala Honeymoon Packages Spend those precious moments in your life with the places that are blessed with natural beauty and peace. We arrange Honeymoon travel packages in Kerala on your request as you wish to spend your honeymoon days. Dream Holidays only offers you the best and that’s the way to our success for last many years. We are available with varieties of honeymoon packages for Kerala to the most attractive destinations starting from Cochin, Munnar, Periyar, Kumarakom, Alleppey, Kovalam etc. Kerala is always an interesting place for honeymoon travel which is filled with so much natural beauty. And making your honeymoon trip in between this natural beauty will be more interesting and always a memorable one. Kerala Backwaters, Houseboat tour, Hill Station, Waterfalls, Eco Point are mind-blowing scenarios of Kerala and also the best spot for spending with your loved ones. There is so much to see and do in Kerala for your honeymoon in Kerala with our top most well-organized packages. Honeymoon packages to Kerala tour can give you a fantastic experience in your honeymoon. Dream your honeymoon trip and make it happen with Dream Holidays. Of course, the captivating beauty of the setting sunset is the highlight here. 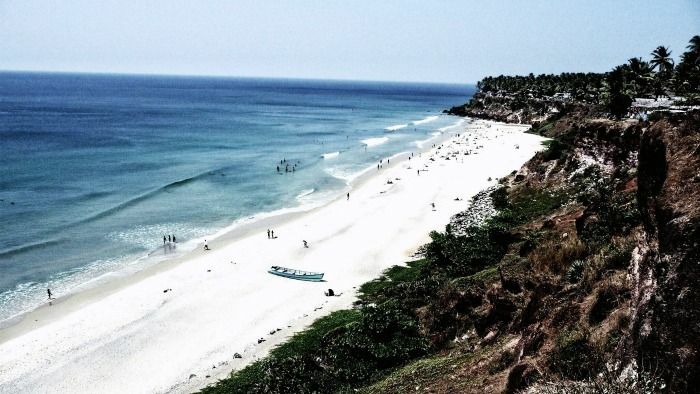 But the absolutely beautiful Kovalam beach lures tourists for more reasons than one. 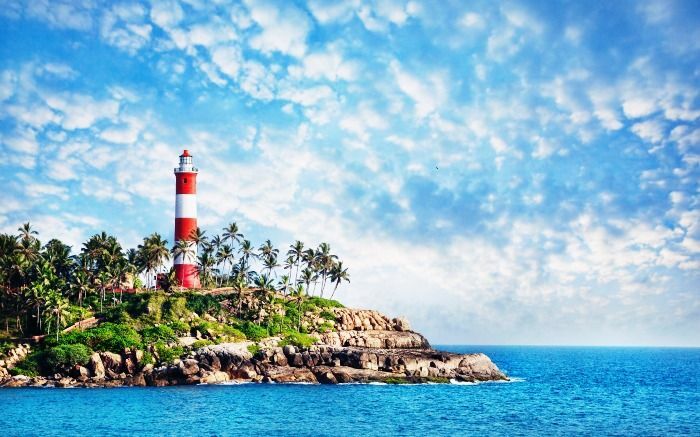 The stunning lighthouse, the undisturbed coastline and the palm-fringed shallow beach, all together make Kovalam a must-see destination. The enchanting sky hues reflecting against the hurried waves beneath is a treat in itself. kerala honeymoon package The artificial off-shore coral reef, the first of its kind in the country, attracts both elders and kids alike. Many leisure options too await you here. Go sunbathing and you end up getting an awesome coppery tan in a few minutes. Herbal massaging, swimming, catamaran cruising are a few other options available on the beach. With quite many authentic ayurvedic parlors around, medical tourism also flourishes here. The city owes its name to the famous Padmanabhaswamy Temple, situated right in the heart of Thiruvananthapuram. The main deity is that of Lord Vishnu in eternal sleep posture on Anantha, the hooded serpent. kerala honeymoon package The eighteen feet idol has to be viewed through three separate doors. The temple is known for its architectural marvel in stone and bronze as well. Brilliant mural sketches adorn the interiors. While moving around the temple, do not miss the famous corridor supported by three hundred sixty-five and a quarter pillars, all made of granite. kerala honeymoon package You need to see it to believe the architectural splendor and craftsmanship that has gone into its making. Kuthiramalika Palace, situated close to Sree Padmanabhaswamy temple is also worth visiting. The interiors are decorated with wooden carvings and mural paintings. kerala honeymoon package The other exhibits at the palace include armory, idols, sculptures, jewellery etc used by the Kings of Travancore. If a quiet holiday on a pristine beach is what you are looking for, no better place than Poovar. A rare meeting point of lake, river and sea, this serene village is situated to the south of River Neyyar. Poovar beach separates the river from the Arabian Sea and hence its geographical importance. Poovar is relatively unexplored and thereby beach activities are minimal. 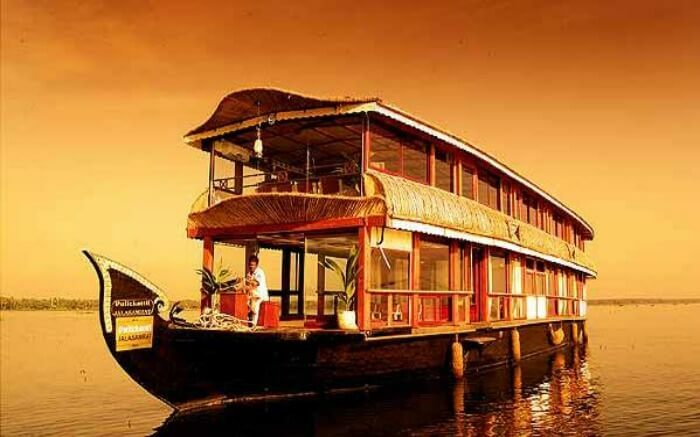 kerala honeymoon package The boat trip through the lagoon, enjoying the lush greenery on both sides, is an added attraction. The Vizhinjam Marine Aquarium, well-known for its unique Image Pearl production technique is located near Poovar. A visit to Vizhinjam, where the construction of the proposed International Deepwater Multipurpose Seaport is underway is also worth considering. kerala honeymoon package To get a real glimpse of coastal life of Kerala, peep into Vizhinjam fish market area, just a few kilometers away from the tourist beach. Ardent lovers of seafood should not give it a miss. As the name ‘Ponmudi’ indicates, this hill resort is indeed a golden crown in Kerala’s tourism map. The site of the lush green environs as you drive up the hairpin bends is indeed refreshing. Streams, tea bushes, mountain flowers and big wild butterflies add beauty to the misty trekking trail. kerala honeymoon package Ponmudi is a quickly developing spot for adventure tourism, with quite many cottages fast mushrooming in near vicinity. A secluded beach, far away from the hassles of the city is what Shanghumukham has to offer. It is an ideal getaway destination with silvery white sand and calm sea. kerala honeymoon package The gigantic statue of mermaid popularly called as ‘Jalakanyaka’ is the landmark of Shanghumugham beach. Extremely famous for its beautiful backwaters, the city of Alleppey in Kerala is also known for its beaches, temples and traditional boat races. This popular tourist destination also has some very well reputed Ayurvedic spas and wellness centres. The leisure options at this beach are plenty and diverse. Sunbathing, swimming, herbal body toning massages, special cultural programmes and catamaran cruising are some of them. The tropical sun acts so fast that one can see the faint blush of coppery tan on the skin in a matter of minutes. 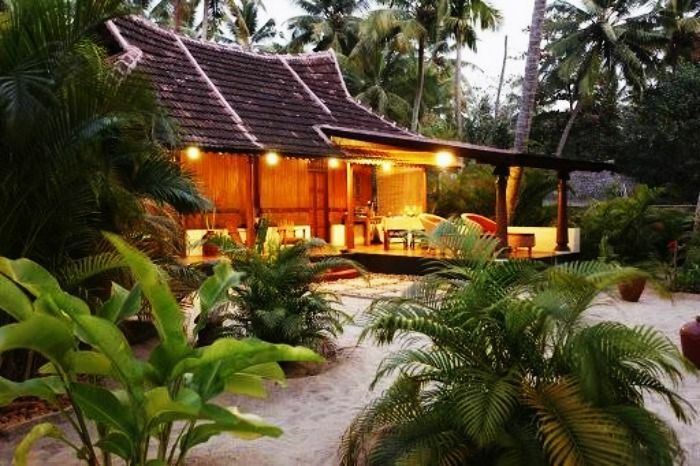 kerala honeymoon package Life on the beach begins late in the day and carries on well into the night. The beach complex includes a string of budget cottages, Ayurvedic health resorts, convention facilities, shopping zones, swimming pools, Yoga and Ayurvedic massage centres. 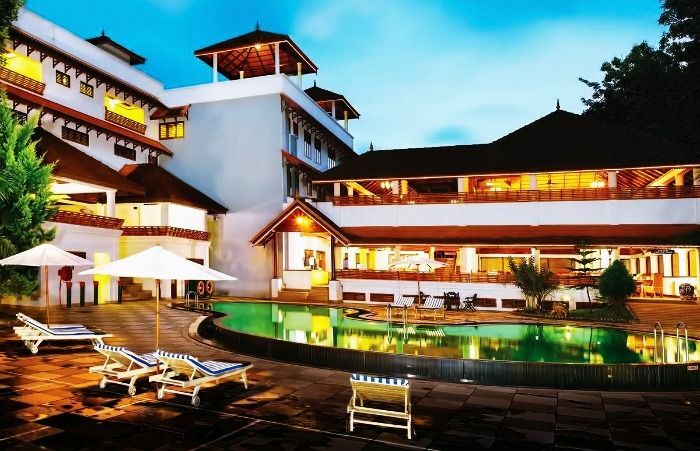 Accommodation facilities for tourists at Kovalam range from five star hotels to budget hotels and the choice of food available at restaurants and cafeterias range from Continental varieties to South Indian delicacies. Thiruvananthapuram, the capital city of Kerala, is just 16 km away from Kovalam and getting there is no hassle. But if you are on holiday it is better to stay in Kovalam and visit the city. The city of Thiruvananthapuram has many interesting places to see like the Napier Museum, the Sri Chitra Art Gallery and the Padmanabhaswamy Temple. kerala honeymoon package The SMSM Institute, a State owned handicrafts emporium, is the ideal place to pick up ethnic curios and other articles. 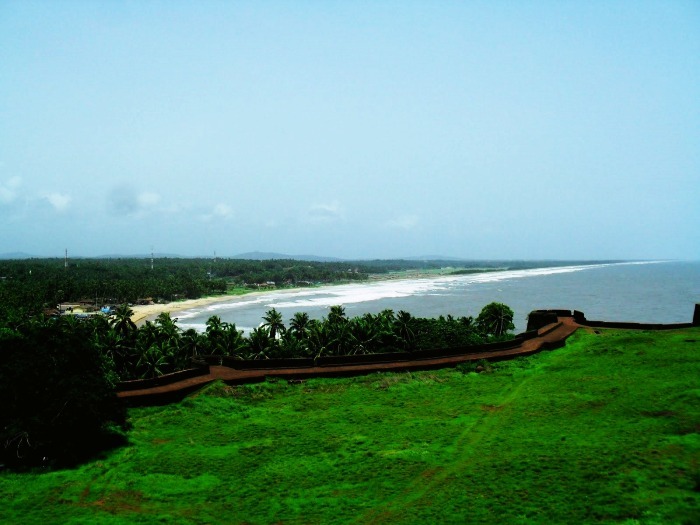 Around 16 km to the south of northernmost district in Kerala, Kasaragod, lies the massive Bekal Fort. It is among the biggest forts in Kerala and has been impeccably maintained throughout the years. It rises to 130 feet above sea level and is situated on a headland spanning 35km. Much effort has been put to develop a beautiful beach here called the Bekal Fort Beach. kerala honeymoon package People flock to these spots in great numbers. 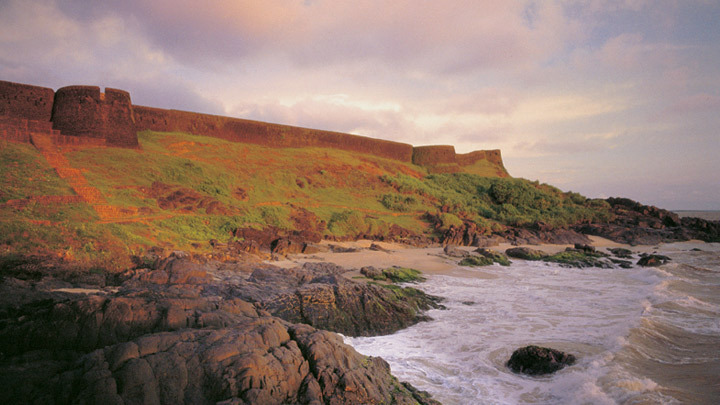 Situated comfortably on steep hills by the sea, the fort provides for an imposing view from the beach. Built using laterite slabs and with a polygonal shape, it is amongst the most visited sites in Kerala. There are many factors that have added to the popularity of the site. An observation tower fitted with beautiful peepholes, the Anjaneya Temple with its famous masonry and two Theyyam sculptures built from laterite are among the primary attractions. kerala honeymoon package An ancient mosque built by Tipu Sultan and various underground passageways are also important places in the area. A rock garden was built using laterite in the parking area and is an architectural marvel in itself. Trees have been planted on the beach along with the construction of a splendid walkway which makes it easier to traverse the beach and enjoy its sights. At night, the entire place is lit up with special lights that add a whole new dimension to its beauty. Wayanad, the green paradise is nestled among the mountains of the Western Ghats, forming the border world of the greener part of Kerala. kerala honeymoon package Clean and pristine, enchanting and hypnotizing, this land is filled with history and culture. Located at a distance of 76 km. from the sea shores of Kozhikode, this verdant hill station is full of plantations, forests and wildlife. Kumarakom,situated 13 Kms away from Kottayam is a sleepy little village on VembanadLake in Kerala. It offers wide variety of flora, exotic sightseeing, boating and fishing experience. The bird sanctuary spread across 14 acres is safe home for many migratory birds like Siberian stork, wild duck etc. kerala honeymoon package They live with other birds in flocks such as darters, herons, egret, waterfowls and cuckoos are fascinating sight for the visitors. Kumarakom is a tourist paradise with many a sight to see. 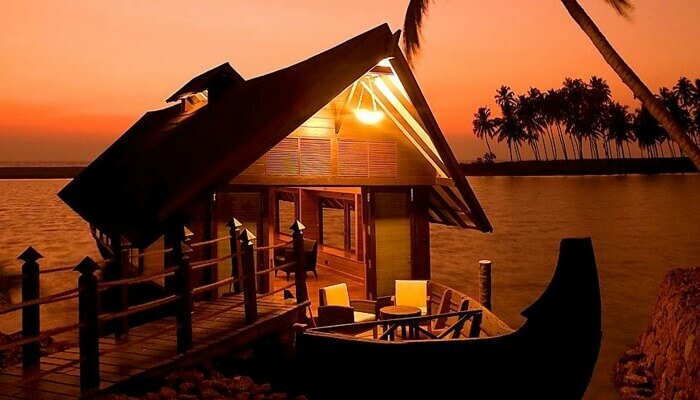 Kumarakom is a veritable cornucopia of travel pleasures that will mesmerize your senses. It is truly a paradise on earth. It is one of the foremost travel destinations on the planet and a crown jewel of Kerala tourism. The legendary backwaters of Kumarakom have brought visitors from far and wide to its shores. 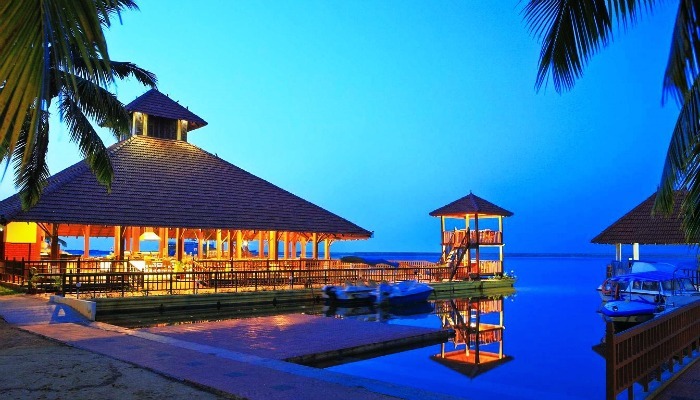 The dancing palm trees and the exquisite houseboats are just an added advantage or flourishes to your vacation. Thekkady in Kerala State, India’s largest wildlife sanctuary is a dream destination for any tourist visiting India . The 120 years old ‘Surki’ dam built across Peryiar, Poorna in Vedic parlance, is a major tourist attraction. 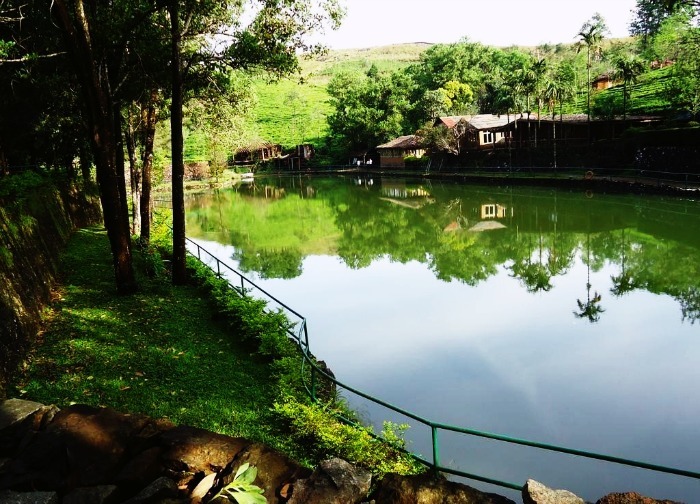 This sanctuary is spread over an area of 777 Sq.Kms, surrounded by an artificial lake over an area of 25 Sq.Kms. kerala honeymoon package The Country’s sole Tiger reserve, Thekkady, with its bountiful treasures of tropical flora and fauna is the ultimate reservoir of many an endangered species and a rich tribal culture. Thekkady is a pleasant heaven on earth for those who love nature in its wild manifestations. Poovar Beach, near the Kovalam Beach, separates the River Neyyar from the sea. Poovar is basically a fishing village and the only way to reach Poovar is through water. 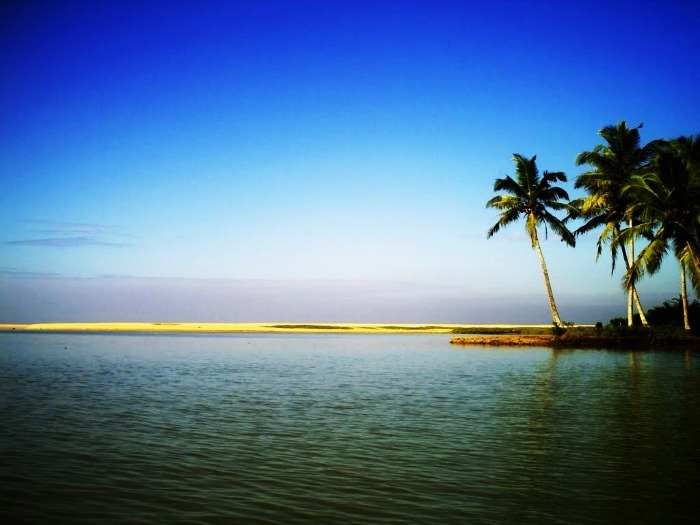 Known for its pristine and virginal beauty, Poovar Beach is haunted by those who love solitude. Beach activities and water sports are not developed in this beach because of the fishing population. The estuary there is one among the natural wonders where the Lake, River, Sea and Beach meet the land, and is situated adjacent to the Poovar Island; a rare find in Kerala, the southern state of India. 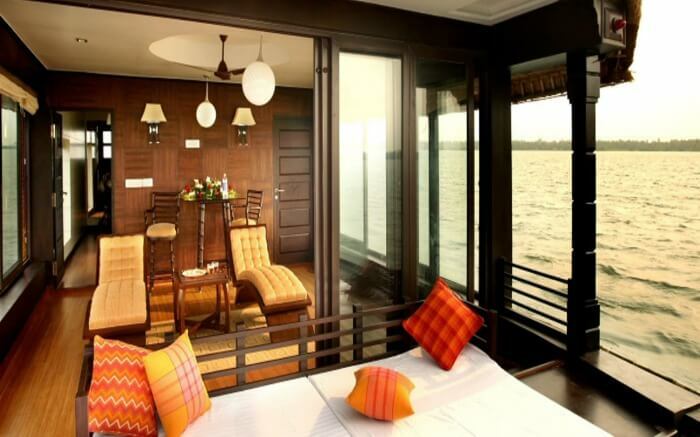 It is enveloped by the most serene backwaters and opening out to the Sea and a dream golden beach. The Poovar beach separates the river from the sea and is quite breathtaking. Because of the active fishing population the beach is not really used as a sunbathing spot or for swimming as the currents are quite strong..
Vagamon is a hill station located in Kottayam- Idukki border of Kerala. It has a cool climate with the temperature between 10-23°C during a summer midday. It is situated 1,100 metres above sea level. Vagamon is a tiny plantation township in Central Travancore, Vagamon has an overtone of green. With a never-ending line of lush green hills, breathtaking ravines and meandering rivulets. A perfect tourist place situated 1200 meters above the sea level spot surrounded by the greenery of tea gardens , Fresh cool air, murmuring Pine forest ,small waterfalls , attractive meadows inviting you to vagamon. kerala honeymoon package Reaching Vagamon itself is an extraordinary experience. The meandering road to Vagamon is cut in solid rock lined with pine forests. And as you wind your way through green capped hills, the rolling plains come into view thousands of feet below you. This tourist place also has to offer Thangal Para, the Indo-Swiss Project and Kurisumala Ashram. Welcome to a land which would make you come back again and again. kerala honeymoon package So that you could rejuvenate yourself and cherish memories of this enchantingly beautiful land.Vagamon hill station is comprised of a beautiful series of hillocks, valleys and cascading waterfalls that make it the ideal getaway for tourists. Take a walk along the narrow, mist covered zigzag roads that wind up the hills and experience true bliss. For adventure seekers, there is an option of trekking, para gliding or rock climbing. The hill station has a chain of 3 beautiful hills called Thangal hill, Murugan hill and Kurismala that give an enchanting feel to this beautiful hill station. 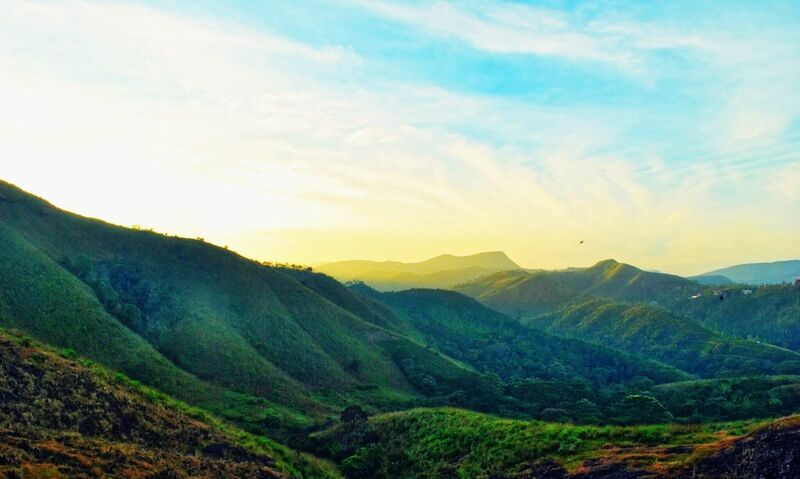 So visit Vagamon hill station to experience eternal bliss and peace of mind.The Vagamon hill station offers you a unique and different environ in comparison to other hill stations of Kerala. Besides, being abundant in natural beauty, the place also offers space for spiritual activities. The peaceful surroundings with cool and soft breeze blowing across the valley makes it a perfect place for meditation. Varkala beach offers many beach activities like sightseeing, sunbathing, wind surfing, parasailing, and soaking in the beauty of this calm beach resort. It’s a beautiful place for someone who wants a peaceful atmosphere all around. The warm pristine have short and quick waves that expand from 2 to 5 ft. Adventure freaks can hire surf gears on rent from the Surf and Soul school. The best time for surfing is from September to March. One who is interested in snorkeling may head to the Thiruvambadi beach or the Papanasham beach. Undoubtedly, enjoying the Ayurvedic and yoga treatments from the famous Yoga and Ayurveda centers give a lovely experience. So, you can indulge in activities like Ayurvedic treatments, meditation and Yoga while holidaying at this beach. Apart from these, art/creative workshops are also offered over here. Shop ’til you drop at the eternal rows of huts running along the cliff, having everything from jewelry and to handicrafts. 1. Minar de lake – Romantic stay or floating poetry? Far into the awe-inspiring environs of Alleppey backwaters, Minar de lake is a comforting retreat for honeymooners. Believed to be one of the most aesthetic Alleppey honeymoon houseboats, the cruise showers its patrons with a range of luxury amenities. Well furnished suites shimmer with crafted elegance cater to the needs of the honeymoon couples. 3. Spice Coast Cruises – Absorb the silence! 8. Pulickattil Houseboats – Elegance-on-board! 10. Evergreen Houseboat – Into the blue, away from blues! 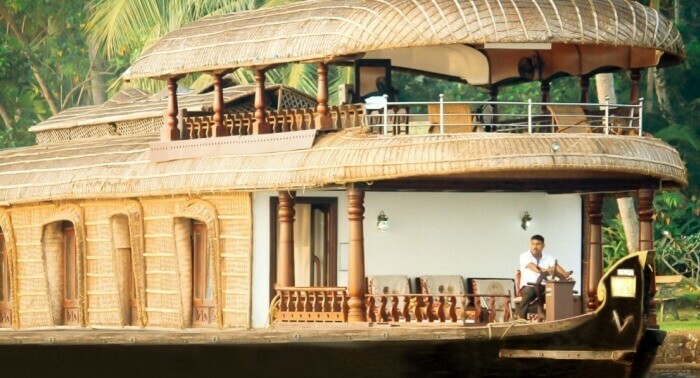 A perfect escape for the wonderful couple, Evergreen Houseboat is the Alleppey houseboat for honeymoon where lovebird seeks comfort in nature’s perfect hideout. 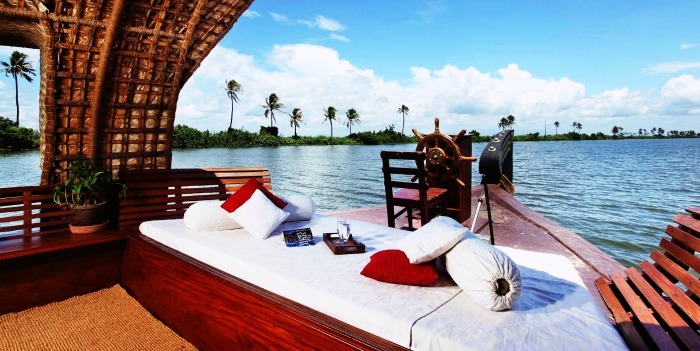 Watching the gorgeous blue of the Arabian Sea blending into the backwaters on your stay at this Alleppey houseboat will be one of the most romantic experiences of your honeymoon. How To Reach: The park is around 51 km from Trivandrum airport. Cost: There are few cultural centers in Cochin that hold daily evening performances with tickets usually below $5 per person so check with your hotel if there are any local Kathakali performances in town. Like the ancient martial art of Kung-Fu which originated in the Shaolin temples of Japan, the Kalaripayattu also has holy beginnings and was said to be taught by Lord Shiva to warrior sage Parasurama 3000 years ago who passed the knowledge onto 21 of his choicest disciples. Location & Cost: To watch the display of this ancient art you will just need to visit Kadathanadan Kalari Center located 147 km from Cochin airport and pay $4 each for a two hour show. Activities to do: The martial art form that has been kept alive through generations of warriors and their families, takes a holistic approach for ultimate coordination of mind and body in which body becomes an extension of the mind. Though vehicles today are an integral part of our lives and at least in urban areas we have given up on using animals for transportation. But vehicles are not allowed near the Periyar tiger reserve to avoid sound and air pollution so the best option to explore the inner recesses of the valley and its beautiful birds is to take a bullock cart safari! Activities to do: To make the honeymoon Kerala a truly memorable affair, indulge on a Bullock Cart Discoveries trip that will take you on a short exploration trip across forest tracts into villages and farms growing onion, jasmine, tamarind, sunflowers and bananas at the rate of just Rs.500 per adult. Location: Located just 155 km from nearest Cochin airport, the region offers several other adventure options likes elephant rides, night jungle patrol and fishing. With five rivers traversing its length and breadth which rise alarmingly high during monsoons, tree houses are common in Kerala and referred to locally as “Erumadam” and located over sturdy trees that give shelter from wild animals at night. 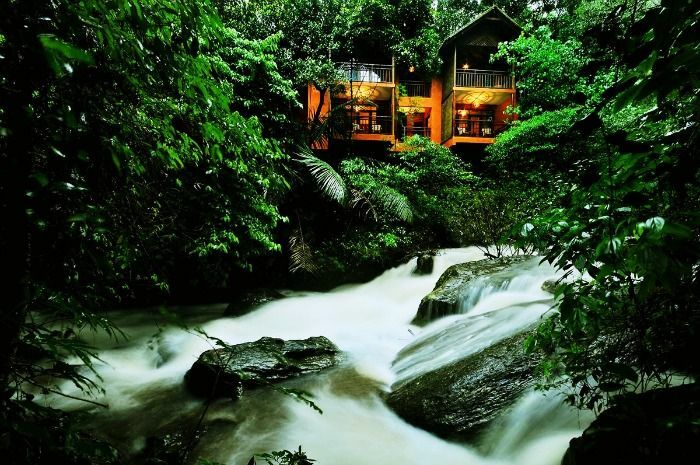 Including this place in your Wayanad honeymoon package will just spice up your romance with your partner. These structures today have become a part of tourist legacy and there are several resorts offering treehouses on the fringes of forestland that start from Rs. 5000 per person for a night which may double during peak season. Cost: If you want to make your honeymoon in Kerala an out of the world experience and make it an adventure within a rainforest then you may have to dish out a slightly bigger amount or around Rs.13159.00-19738.50 per night. 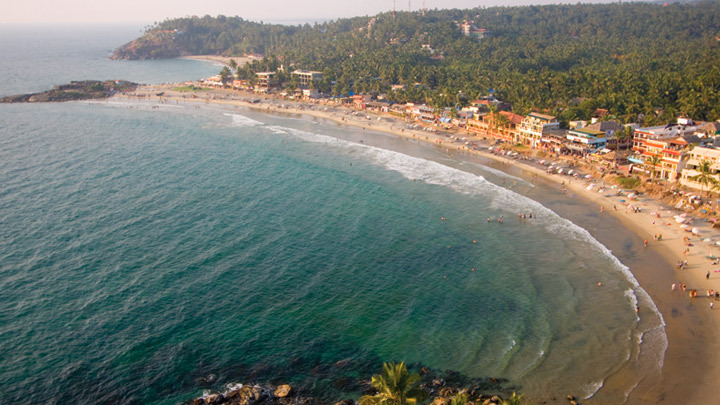 A visit to Kerala is incomplete without a trip to its famed sunbathing beaches of Kovalam. A favorite haunt of foreign and Indian tourists since 1930’s the three crescent beaches that make up Kovalam are abuzz across the year with visitors enjoying swimming, aromatic Ayurvedic massages, yoga and catamaran cruises besides sunbathing on the private beaches of luxury resorts dotting the coastline. It is one of the most visited places in Kerala. The beaches of Kovalam perfect for walking arm in arm with your spouse and taking Ayurveda massages which is the most common of things to do in Kerala on honeymoon along with shopping for handicrafts from local shops. 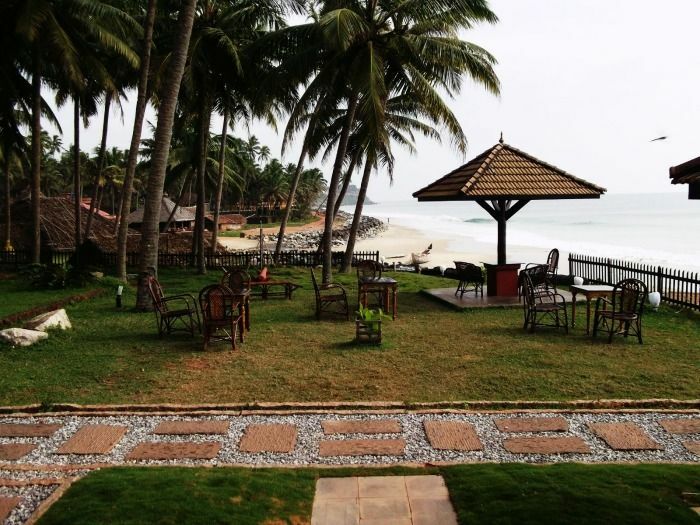 Location: Located around 10 km from the Trivandrum International Airport, Kovalam offers wide variety of stay options ranging from five star resorts to budget cottages. The spectacular view of sleek boats racing past each other literally flying across sparkling waters with crowds cheering them across every inch of the course is a sight to behold. In Kerala every year four main snake boat races are held in and around Alleppey of which the most famous is the Nehru Trophy held in August while 15 more minor ones are held in other areas. As most of them are held between June and September this gives you ample opportunity to make this event an important part of your things to do in Kerala on Honeymoon itinerary. To view these races you can take a cab from Cochin Airport which is 85 km away or a train to Alleppey. While touring across Kerala’s temples and tourist locations you would have heard the sound of several traditional instruments in the background and wondered about listening to them more leisurely then you can enjoy an entire orchestra of this temple music through panchvadyam performances. The melodious music pachvadyam comprise of four percussion instruments namely thimila, ilathalam, maddalam and edakka along with kambu which is a wind instrument. You can enjoy this temple orchestra during traditional festival season of April, May or October and check with Kerala Kalamandalam for any unseasonal performances. India being still a largely agrarian community has many festivals associated with sowing and harvesting. The months of March and April are celebrated across every state of India and this period allows tourists to discover new things to do in Kerala that are usually not written about in guide books. The giant complex built like a crystal palace has stores selling latest international and national brands of clothes, jewelry, food courts, electronic appliance and many more items. With 27 multi-cuisine counters at the food court and 9 restaurants, the mall offers several options to relax with food and drink between shopping expeditions. Cost: You can take a short four hour cruise on the houseboat for as little as Rs. 5640 per person or make an overnight stay in luxury houseboat for $100 per person. The trips are inclusive of meals along with arrangements for fishing equipment if desired. Location: Located just 3 km from Thiruvananthapuram International Airport, accommodation is relatively cheap at Rs. 1940 for a twin AC Room. Activities to do: For a more homely setting for your Kerala honeymoon try out Matagi Mudax set within an organic farm near Periyar tiger reserve that has short term programs comprising of yoga, meditation and Ayurveda treatments. Though all the items are vegetarian they bring together all flavors that stimulate the senses like spice, salt, sour, sweet and pungency. Most of the items are cooked in coconut oil or have a liberal dose of grated coconut in it. Cost: Most large and mid-sized restaurants across Kerala serve sadya on weekends or all days for Rs.200 per person and if you are planning to try it out just make sure that both of you are prepared to sample all the items served. Location: Periyar Tiger Reserve, Thekkady, Kerala, India. Nearest Airport: Located 136 km away from the nearest airport of Cochin, the trip costs Rs. 1000 per person along with park entrance fee. Tickets: While Indian nationals are charged Rs. $1.5 per adult, foreigners are charged $6 per adult. 2. By Train: Varkala Railway Station is 3KM away from the city. The sight of high sea waves lashing against the rocks and splashing spray on the ramparts of Bekal Fort that is surrounded by a beautiful garden on one side is enough to make viewers wonder about the beauty of nature. Even though Kerala has several beaches and waterways that keep you close to nature, the charming Cherai or Marari Beach located in Kochi and just 30 kms away from the Cochin International Airport is suggested for tourists as it is the least frequented beaches of the state and cleaner. The beach is tranquil and relatively deserted during the day due to humid tropical temperature and is home to the famous Marari Beach resort. Activities to do: While you are here, remember to take a short trip to the Kumarakom Bird Sanctuary which is considered as one of the smartest things to do in Kerala during summers. It can be explored by hiring a canoe from local fishermen as most birds remain close to the waterways instead of open ground. A land with four rivers traversing its length and breadth and a long coastline along the Arabian Sea is bound to have umpteen fishing opportunities. 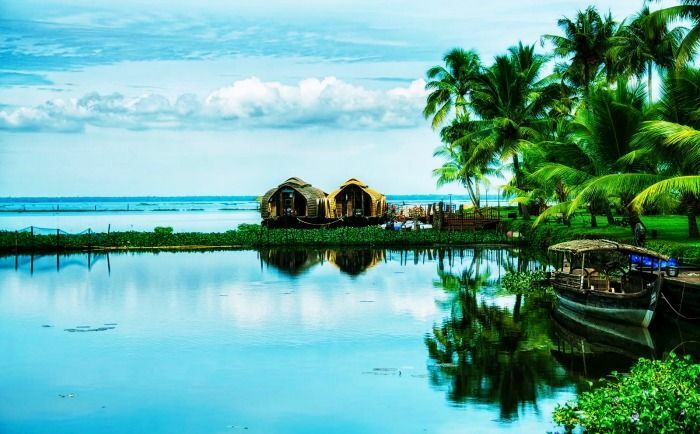 While exploring its’ exhilarating lakes and inland waterways on houseboats you would realize why National Geographic Traveller has named Kerala among 50 destinations one should visit in a lifetime, and also one among thirteen paradises in the world. Activities to do: Afternoon fishing on the Vembanad Lake that is just 81.7 km from international airport of Fort Kochi is regarded as the most popular adventure activities in Kerala due to the wealth of fresh water fish species found here. You can try fishing even at night when you book for a romantic night on the houseboat as fishes get attracted by lights and you can hook them easily. Vattiyoorkavu, Thiruvananthapuram – 695 013.Kerala. Risod Road, Washim – 444 505. Maharashtra. Shakarpur, New Delhi – 110 092.